This post will solve the first of the above problems, that is make sure that when the user refreshes the page doesn’t loose his cart items. 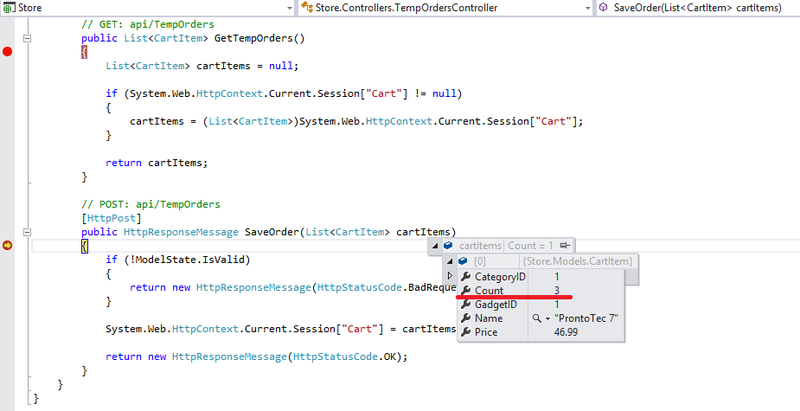 In order to achieve this, we need to make our Web API Controllers support Session State. Let’s start. Session State is not enabled by default in Web API and that’s fine cause doing so would break it’s HTTP Stateless nature. However, there are times that you need to enable Session State and there are two ways to achieve it. The first one is to enable it globally for all API Controllers which is something I wouldn’t recommend since it breaks the HTTP stateless concept for the entire Web API layer. The second one is to enable Session State for specific routes only, by using a simple trick that is move the Web API routes definitions in the same place where you define your MVC routes. There, using the MapHttpRoutemethod to define your API routes, you can set a custom HttpControllerRouteHandler to each of your routes. 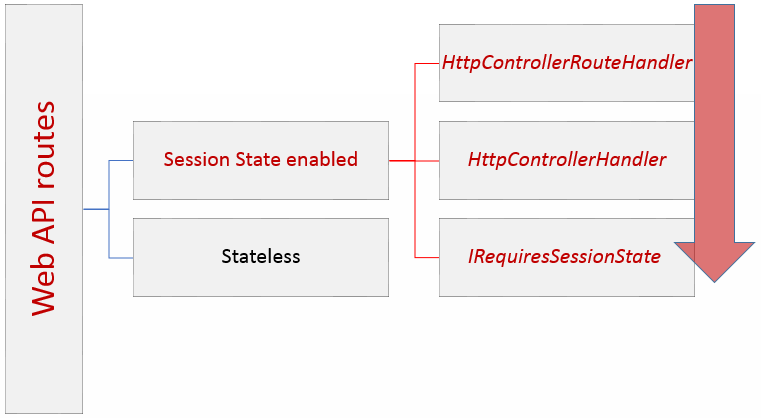 For those routes you want to enable Session State, the overrided GetHttpHandler method of this custom HttpControllerRouteHandler implementation, must return an instance of an HttpControllerHandler that implements the IRequiresSessionState interface. We need the same model at server side so for start, add the following class inside the Models folder. 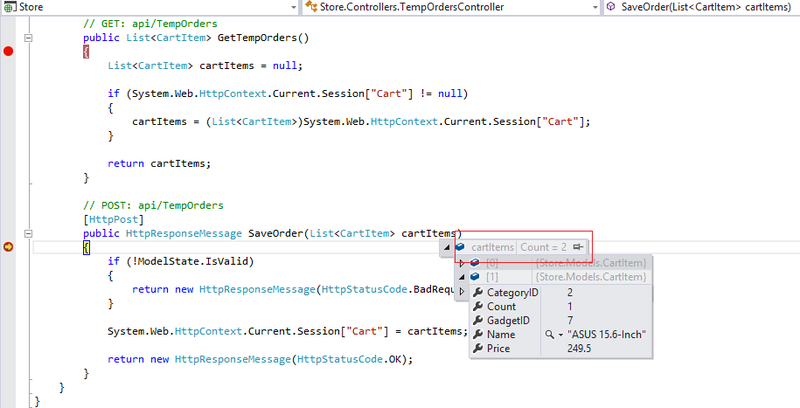 Open gadgetStore.js and for start add a new constant value which defines the TempController’s Url. Now if I add another different gadget to the cart.. Try to refresh the page and ensure that your cart items arent’ lost. We are done here with configuring our AngularJS – Web API Application support page refreshes. I hope you enjoyed the post as much as I did. Of course you can download the updated version of the GadgetStore application from here. The next post of these series will show you how to secure this application, so make sure you get subscribed and get notified! This is awesome! Really awesome! I am eagerly waiting for your authentication part.Please guide me to complete the authentication part. Please show the security part..
AngularJS feat. Web API – Security. I can’t find “RouteConfig.cs” file in my solution. Could you please share the project solution? I Get 404 from dropbox. what if I want to use the session in the web api but I host the angular in a separate host? is the session alive? In my development mode my angular 5 app in hosted on localhost:4200 but my web api is a separate host and the session will be null on each call to the service.